Was reading the put-charts-in-comments post at the oil drum. Very, very interesting. 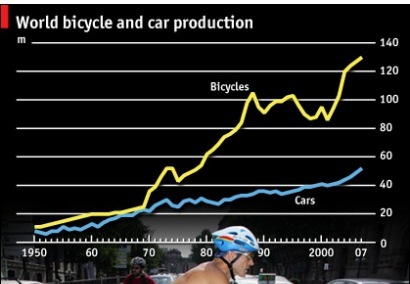 Not too surprising to someone who rides a cargo bike, and thinks about electric assist from time to time. If I were running China, I would approve of this development. Note that exclusive use of electric power is far less safe (higher mortality rate) than pedaling, because we need the exercise. 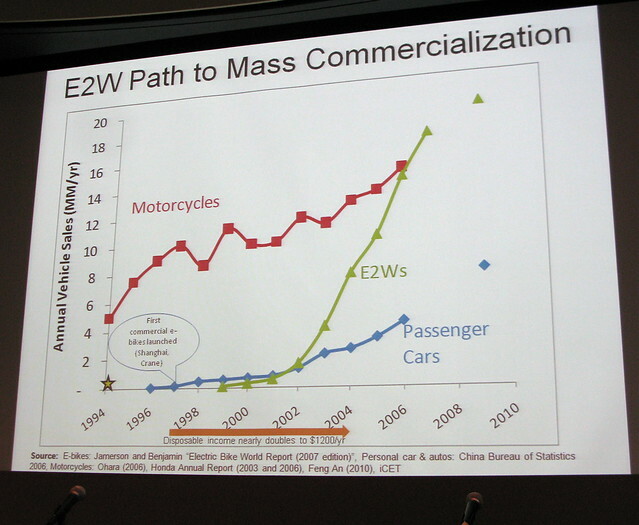 This presentation (Jurvetson presentation, linked from comments on picture below, requires Flash) starting at slide 16, also has some interesting numbers on e-bikes.